A train attendant offers a poster of the Chinese character "Fu", which means good luck, to passengers aboard the G1709 bullet train. 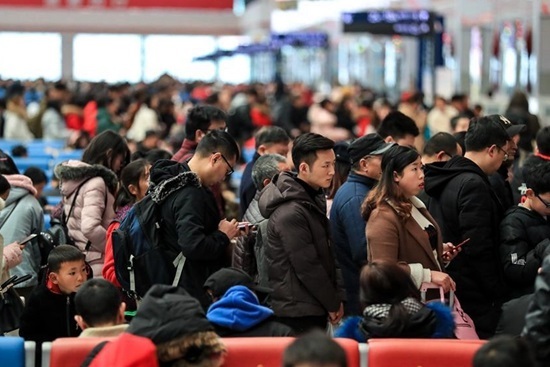 A large number of passengers are returning to Tianjin as the weeklong Spring Festival holiday comes to an end. 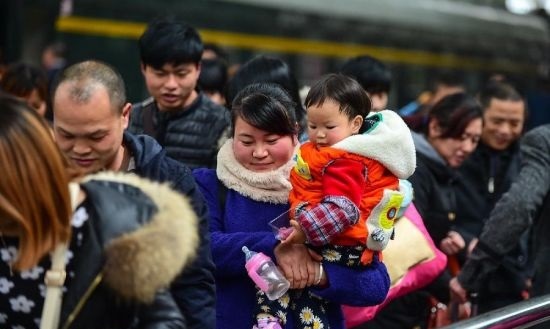 The railway stations in Tianjin totally received some 1,500,000 travellers during this Spring Festival holiday. Passengers have risen 150,000 compared with the same period last year. 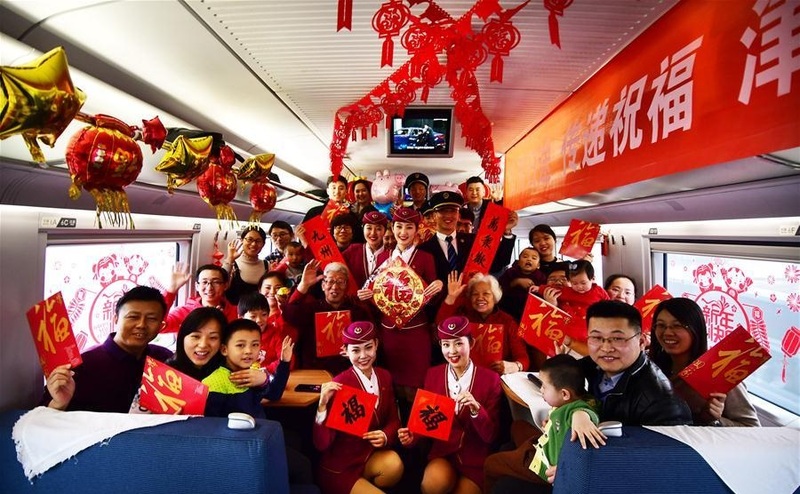 Train attendants pose for photos with passengers aboard the bullet train. 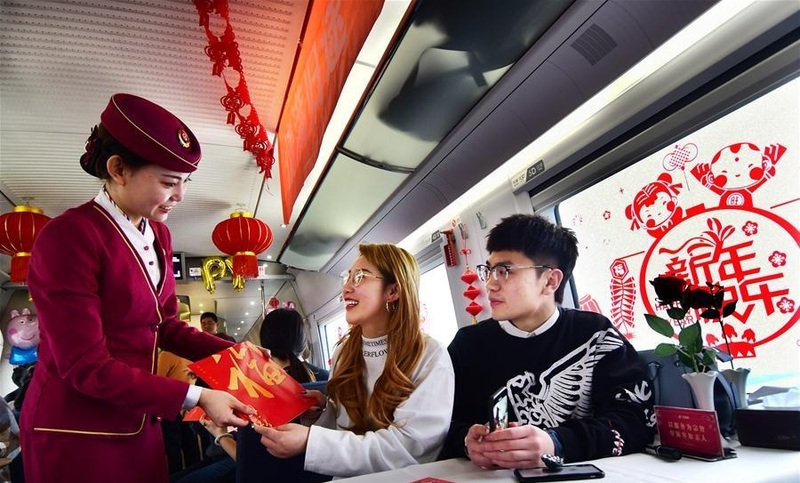 This year's Spring Festival travel rush started from Jan 21 and will last till March 1, with railway trips expected to hit 413 million in total, up 8.3 percent.